You are here: Home / Search for "entry"
Comments The Planet Jupiter’s element is Ether or as known in Sanskrit – AKASH TATTVA! This indicates vastness, growth, prosperity and expansion! With such elements the core attributes of the greatest benefic – Jupiter, this exceptionally golden colored Entry level, Ceylon Yellow Sapphire that is not only fully Natural and Unheated but also one that has imbedded in it the core Sattvik attributes of Jupiter and has made a powerful Jyotish talisman, which represents the best of Jupiter energies when set in this 18K Gold ring! 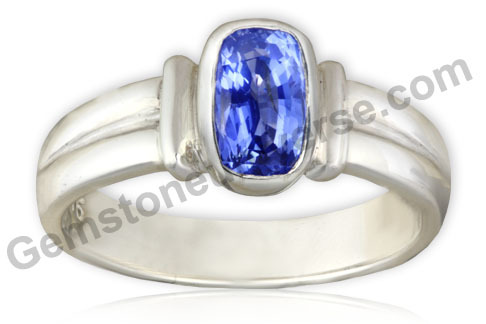 Comments An exceptional Brilliant Light Blue Color Gem with a violet Overtone that makes it an Indraneel Blue Sapphire! 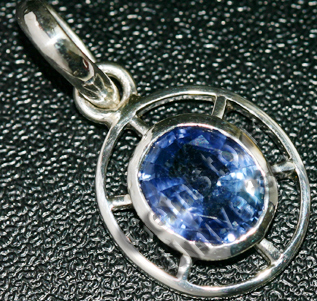 Exceptional Lustre and Clarity and Unheated and Untreated Blue Sapphire! And we grade this as an entry level Jyotish Quality Blue Sapphire! 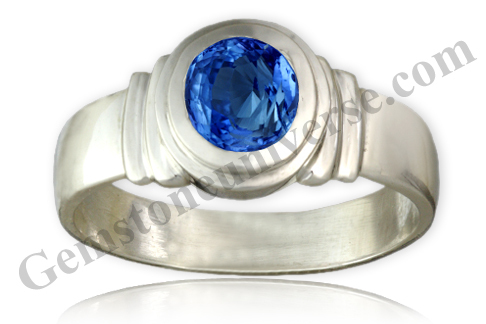 A Sattvik and Jyotish gemstone set in sterling silver ring and making a extremely powerful Saturn Talisman! Comments Since we first featured talismans having 2 gems of lesser weight in order to make gem therapy more accessible, we have been flooded with requests to make such talismans! 2 fully natural and untreated Ceylon Yellow Sapphires adding up to a massive 4+ carats! A single gem of 4+ carats would start at about $750 per carat! Both the gems at more than 90% clarity levels and with pleasing light butter yellow color, set together in a 22 k gold ring with the ancient symbols of Jupiter and making a Sattvik and potent Jupiter talisman! ! 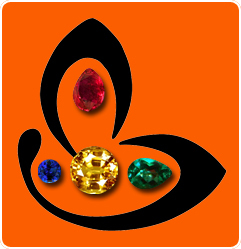 We take pride in the fact that we have made gem therapy easier to implement, by making available Entry level gems and smaller gems in order to facilitate correct implementation and also accessible and affordable to each and everyoneNote: Many thanks to our gracious patron for such a wonderful testimonial. Help! My Astrologer says that my Emerald has become white because it has prevented big accident yoga and the Jeweller says that the Emerald has soaked up all my negativity-The Gemstone Pyramid and the truth about Indian Taste Ka Ghatiya Maal- Things we don’t like and you shouldn’t either. In our day to day practice we meet several individuals, who make statements similar to the one above. An interesting case happened last week wherein one customer said that that his Emerald has become white after one year of usage. When he reported it to his Astrologer the latter said that the Gem has prevented big accident yoga and made you safe. He next went to the Jeweller who had been recommended by his Astrologer. The Jeweller said that this was nothing new for him and he has seen several cases where a good gemstone had soaked up all negativity from the body! Well, it is an outright scam and this particular nexus of the Astrologer and the Jeweller is at best an UNHOLY ALLIANCE. Time to change both! Let us begin with telling you about the global perception. A shocking and demeaning statement was made by a Gemstone intermediary in Bangkok that opened our eyes. Now, this gentleman has been trading and acting like an intermediary (taking Gemstone parcels) from one office to another and has no gemological knowledge. Nada. None, except that he takes a parcel from one dealer at $X and sells to another at $X+10%. At an International Gem and Jewellery show he approached one of the team members and said that he had top quality Emeralds. Well, the next logical step was to ask him to show his goods. The parcel he opened was of a non gem grade beryl rough heavily treated with Joban-Color dyed oil (more about this later). Showing them and with a big grin says: “Only $1(INR 45) per carat emerald for 1000 carats, Top Quality Indian Taste Ka Ghatiya Maal “ (Literally translated: specific material for Indian Taste consumer/ jeweller who seeks out the cheapest low non gem grade material, and this stuff ranks highest in that category). Our response made him disappear in less than 30 seconds but the revelation about the Indian Jewelers taste and the sweeping Generalization about the consumer preference spoilt our entire day. This is the country that has given the world most prized gemstones in the world and Indians have had taste for the best gemstones throughout the ages. There was a time when in India Diamonds below the weight of 3 carats were not even valued and traded for they had no time. They were occupied in grading and trading of Diamonds above 3 carats! -this is a historical fact. Do read Tavernier’s travels in India and you will know about the glorious Gem culture of this great country. The above low- cost non-gem grade material is bought by unethical jewellers at $5( INR 225) per carat and then retailed to consumers who have been recommended to wear a 5 carat emerald by the Astrologer at a price point of $22-$44 per carat( INR 1000-INR 2000) per carat. No wonder people are seen wearing a 5 carat Emerald for a net price of $110/-. Removal of accident and negativity is of course free! The mathematics of sourcing gems at cost $1 and selling at a price of $ 44 – Whoa! this is too cool a business! Industry statistics reveal that India is the largest market for non- gem grade, low-grade gem material and most of the scrap is imported into India. Please see the Gemstone pyramid (Highlighted area makes up the majority of Indian market). Most of the discarded goods reach India. 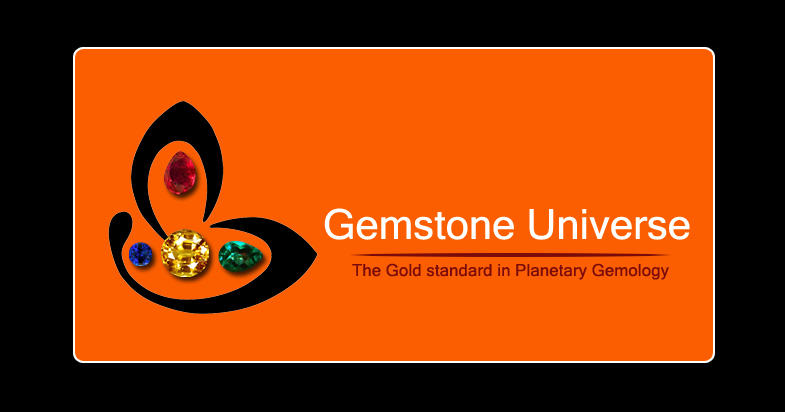 Jyotish quality Gemstones would be top grade or high grade, not lesser. How the Emerald/Yellow Sapphire becomes white. 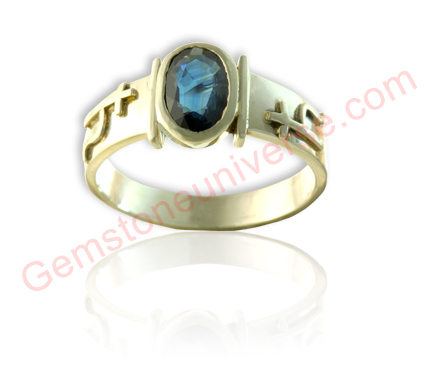 The stone in the picture above is not a gemstone. It is Non-Gem Grade beryl that has been treated with Joban. Joban is green colored oil– Oil that has been made green by adding a plant based dye. This is the most common treatment of choice in commercial grade goods coming from India and sold in India. 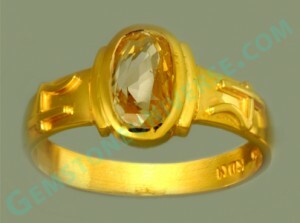 Low grade Yellow Sapphire that became white in 3 months. 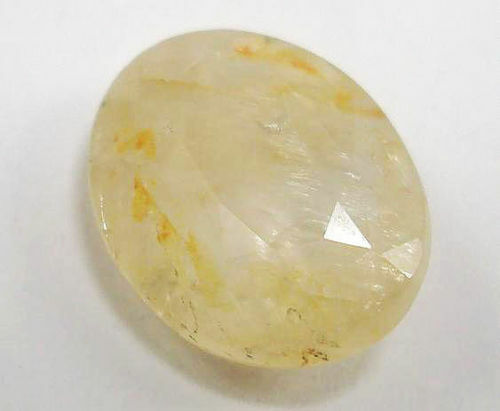 Again, the above is a stone- but not a gemstone. 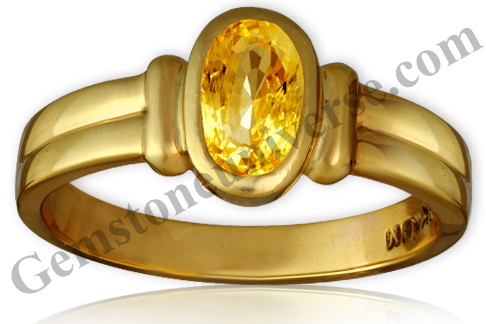 It is a low grade yellow sapphire from Sri Lanka that combines two treatments. One is dyeing with material that has got the same Refractive Index as the mineral and second by irradiation with Cobalt 60. 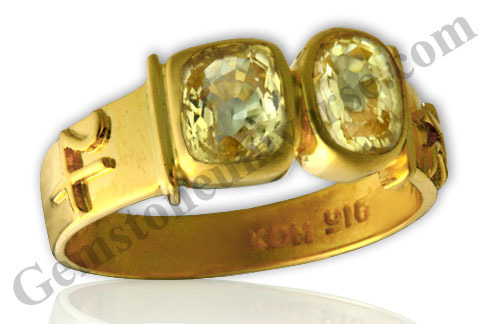 Just exposure to strong sunlight will make the color leave the gemstone leaving what you are seeing-Scrap! Yes, there are Gemstones that are sensitive to light (Light Sensitive Gemstones) such as one member of the Quartz Family-Amethyst. A natural Amethyst may show fading of color when exposed to strong Sunlight but the above two samples are outright frauds. India-The sacred Land of the Navaratnas! India is the land that has given this world the sacred and powerful science of Navaratnas and their profound impact on Human life. 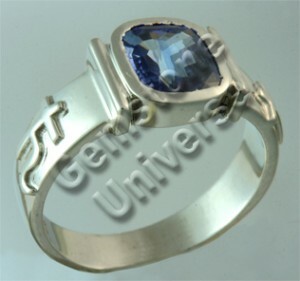 Yes there are miracle cases where a Blue Sapphire becomes cracked by preventing a real time accident and saving a life but none of the sacred Navaratnas/ sacred nine gemstones- Ruby, Natural Pearl, Red Coral, Emerald, Yellow Sapphire, Diamond/ White Sapphire, Blue Sapphire, Hessonite and Cat’s Eye change color or become white if they are natural, untreated and Jyotish Quality! If an individual wears a Gemstone that has many flaws even out of ignorance then he will be tormented by grief, loss of wealth, anxiety, illness and evils of many Kinds. 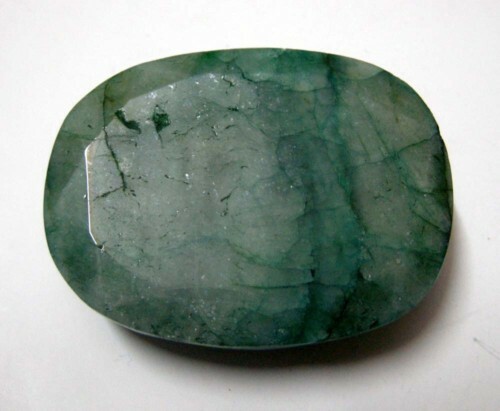 Next time if somebody tells you that your Emerald has become white because it has prevented a big accident yoga and the Jeweller says that the Emerald has soaked up all the negativity-YOU KNOW WHAT TO DO. Issued in public interest and in Service of sacred Planetary Gemology! Rare Peacock Blue Montana Blue Sapphire. Gorgeous hue of the peacock’s neck. Blue Sapphire the most powerful Gemstone of all Navgraha Gemstones. Neelam the gemstone of Shani. 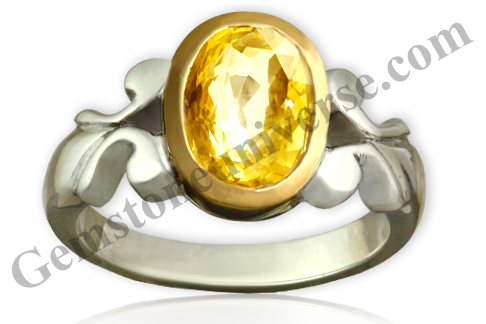 Talismanic Mayur neelam ring for Saturn. A Gemstoneuniverse.com exclusive. Comments This is one among the rarest Montana Blue Sapphire Lot that we had recently acquired. All the gemstones in this lot are exceptional in terms of their Bluish green color and the glory they carry.Blue Sapphire / Mayur Neelam represent Powerful Lord Saturn. These Montana Blue Sapphires are available at an entry level cost for Gemstoneuniverse.com patrons exclusively.